And the leaks just keep on rolling in. After the base iPhone 7 was promptly featured in a few alleged live shots, it was only a matter of time, before we caught another glimpse of the elusive dual-camera iPhone as well. 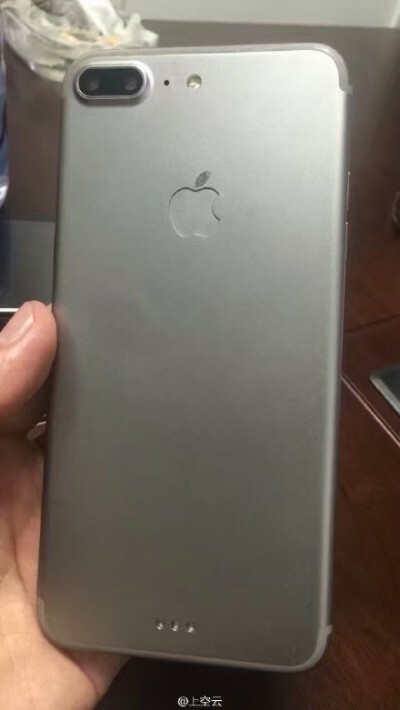 Today's batch of leaked photos offers just that and judging by the relative scale of the device, we are definitely looking at a new Plus model. Or, perhaps, it is a Pro one, as the debate is still out on whether there will be a single-camera big device to accompany this one. 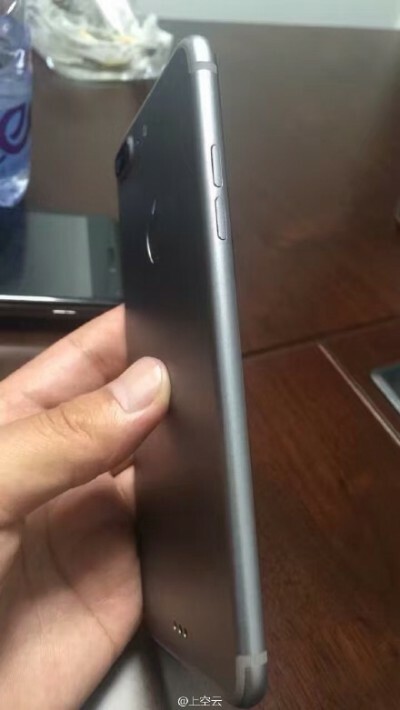 In any case, this is one of the first times we get to see an iPhone 7 from almost every angle. Sadly, that excludes the top and bottom, which would have been a great way to finally settle the ongoing 3.5mm jack drama. As per design, the front seems really clean and unchanged - a big panel, probably spanning 5.5-inches and a round Touch ID button. Sides look clean with a familiar design. The back, however, offers quite a few bits of interesting information. 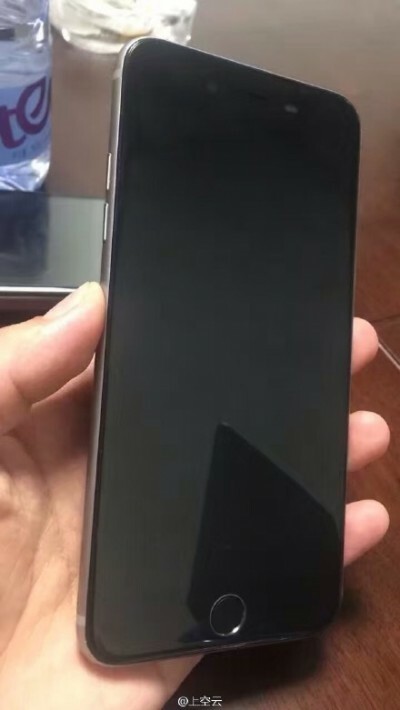 Besides the already mentioned dual camera setup, we can clearly see the new antenna line design. The plastic now appears to only go along the edges with the middle parts eradicated. Another important detail are the three little dots near the bottom. These look quite reminiscent of the accessory connector on the iPad Pro, which hints at magnetic accessories compatibility. All this considered, the shots are most-likely of an iPhone 7 Pro, as the moniker does seem most fitting. We can't fail to mention that the iPhone logo on the unit looks kind of odd. This is likely because we are looking at a prototype. A fresh new rumor has an alternative explanation, though - a glowing notification light under the logo - a feature that has existed for quite some time now on the modding scene and definitely enjoys some fan love.